Modern Bridal dresses got immense fame because they are producing high quality bridal dresses in a unique way. Modern bridal dresses have been designed in a creative way. Today we are here to present some fabulous bridal dresses for the wedding seasons of 2012. 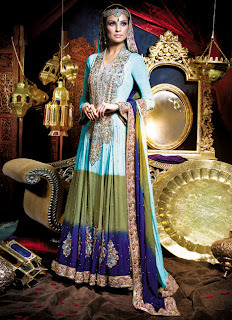 All the dresses have creative designs, beautiful embroidery work and heavy use of zari and different ornaments. The collection of bridal dresses 2012-2013 include culturally designed dresses in all beautiful colors. 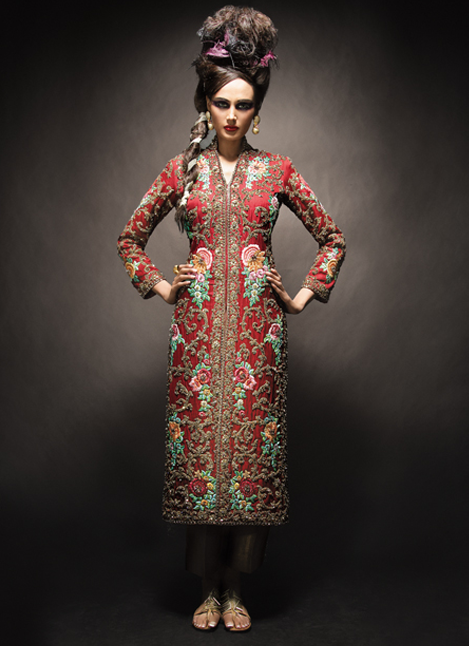 The dresses have been designed according to the eastern culture with the amalgamation of western designing patterns. 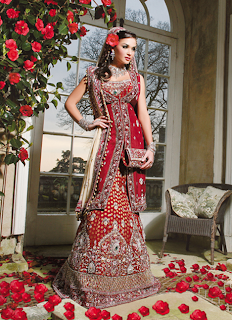 All stitching patterns are the part of this bridal dress collection of 2012 like shalwar kameez, sarees and Lehenga’s. The variations in designs and colors are the part of designing required to build such a master pieces because bridal dresses required high quality designing and stitching techniques. Most of the bright color bridal dresses have been collected in this bridal dress collection of 2012. You will see red, pink, maroon and white color bridal dresses in this fantastic bridal dresses collection. Heavily embellished gowns, Lehenga’s and sarees make this collection awesome. 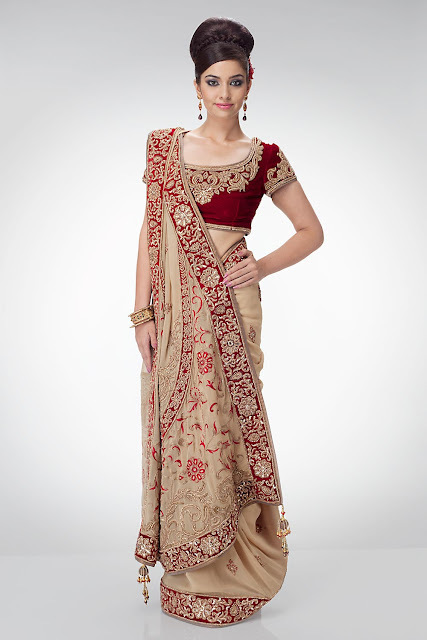 Moreover the collection has some traditional red color bridal attires, pinkish red and white gown. Let’s see the entire collection of bridal dresses 2012. This is beautiful bridal attire in black color having golden and silver silk strip and zari work on it. The dress is looking awesome having modified pattern of Lehenga with full size traditional sleeveless kameez. Trendy bridal long kurti with churidar pajama is looking quite fresh and elegant addition in bridal wear product line. Mustered color thread embroidery and zari work on green color attire is looking fabulous and cool. Traditional style of saree has been modified according to the trends prevailing in market. White color embroidered and ornament work on shocking red color fabric giving cool and beautiful sight to the eyes. This Bridal Saree is just heart touching work of bridal dress designing. 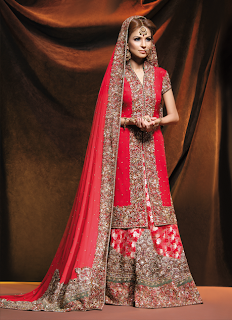 Traditions are always be the part of designing and this Lehenga kurti bridal dress is an example of this. This pinkish color Lehenga has some traditional lace strip work with heavy embroidery and zari work on border and sleeves of kurti. Beneath we have some modernly designed bridal dresses 2012 ranging different color schemes and designing techniques. Hope you will like this collection of bridal dresses.